When Thanksgiving, Christmas and New Years are done and over it seems like yay !!! I can finally breath !! But then it’s a Debbie downer cause everyone is so used to planning, doing fun stuff and being surrounded by the best friends and family. So this post should get you inspired for a little get together after all the festivities are done. 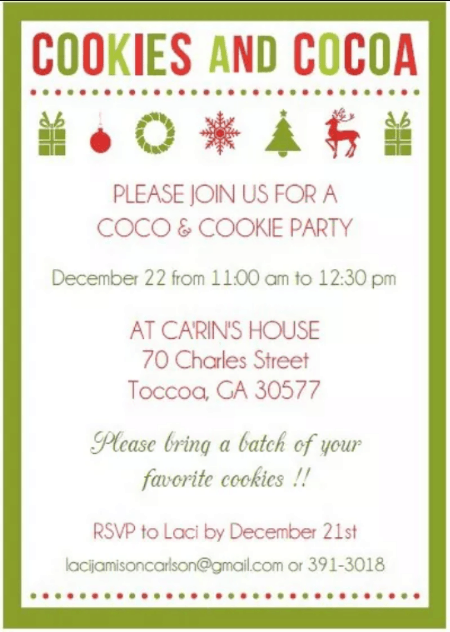 When i had my Cookies and Coco party it was before Christmas but this year it’s going to be in February. People will be a lot more excited and less stressed. 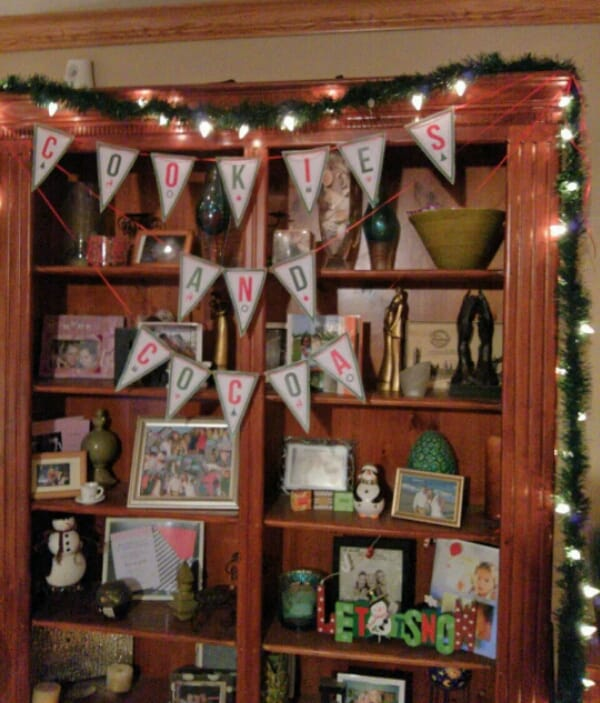 You can do this party so cheap and make it so cute and unique. Add your special touches and have fun ! When i hosted mine i told everyone they should have on pajamas or something comfy. 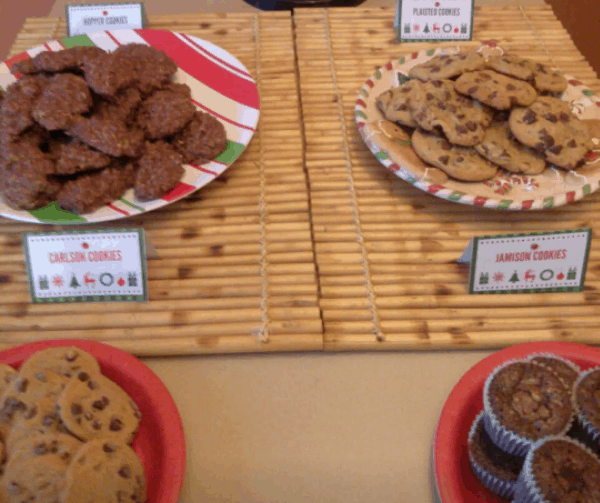 Four sets of cookies and i named them by family. Carlson, Jamison, Plaisted & Hopper. The mini colored marshmallows were definitely my favorite. 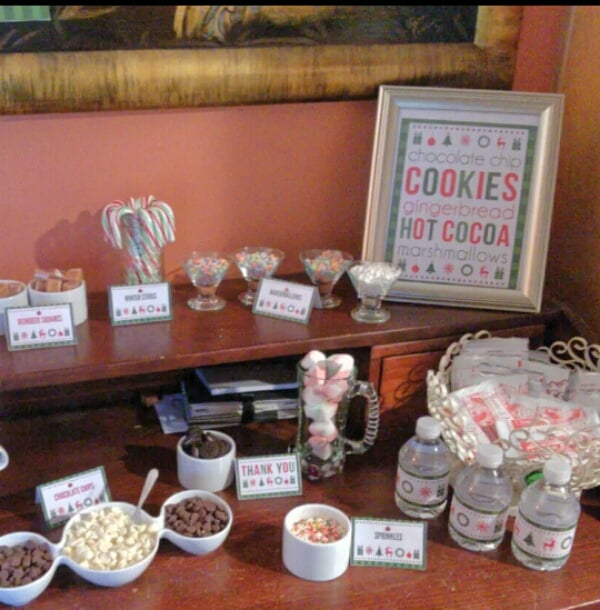 My Hot Chocolate Party was so much fun that’s why I’m doing it again this year can’t wait ! Below i will have everything to get you started. If you take flight and do this please come back and share your pictures. The list above is a starter list add and take away as you wish. This is a must for my party this year cute and simple all you do is spray whipped cream on wax paper and freeze then add to your hot chocolate. Look how cute these are !!! These will be @ my little party also. Little graham crackers dipped in chocolate and then sprinkled with mini marshmallows im in love ♡. Look at this yall and it’s not hard at all !! 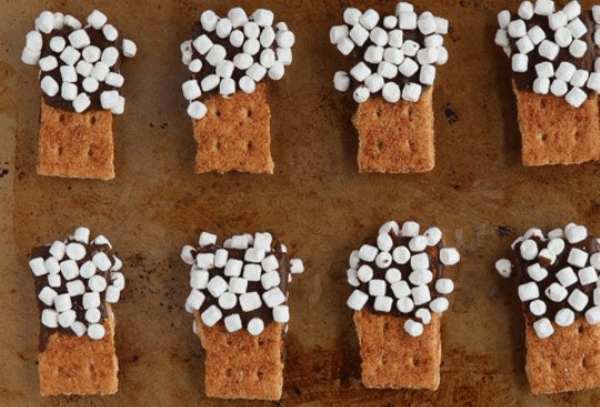 A mini S’mores bar that would give this whole thing the wow factor. A long deep tray with pebbles and cans of sterno can’t freaking wait to try this. Now on to the cute stuff ! All these printables listed are free just click and then create. What a cool idea! Love the frozen whipped cream, genius! Thanks so much i thought so to. Can't wait to try it so glad you came by ! Thanks !! The kids love it they feel "big" lol. Just fell in love with the stores bar. Just showed my daughter and we think we are going to try and do this for her holiday party between Christmas and New Years, along with a cookie bar and hot chocolate bar. Love it all. Thanks for some really neat ideas. So excited. This is such a cute idea! I have a niece with a January birthday and could see this being a fun theme. The graham crackers dipped in chocolate look sooo yummy too! Good idea it would be sooo cute for a Birthday party to. I might do that 1 year also. Thanks for coming by. Super cute idea... thanks for sharing at Sunday Features! Awesome party ideas. I love your party invitations, adorable! Thanks for linking up for Scraptastic Saturdays. How fun I can not wait to try this out with my sister and Girlfriends as I know they would love it and deserve a break from the hectic Holidays. So thanks for making it so easy for me to do this party. Look super cute! I was so drawn to the picture from Momfessional's link up I had to pop over and read! Such a fun idea! 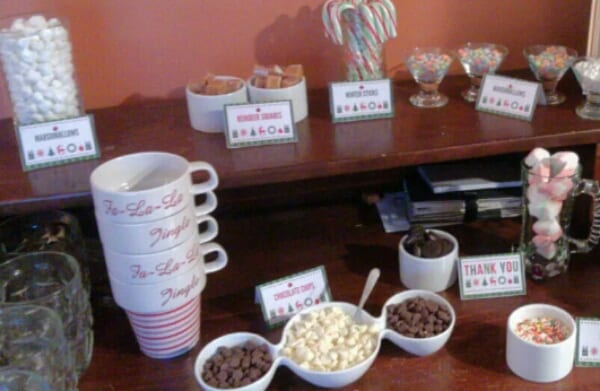 I love the s'mores bar! Love the idea! 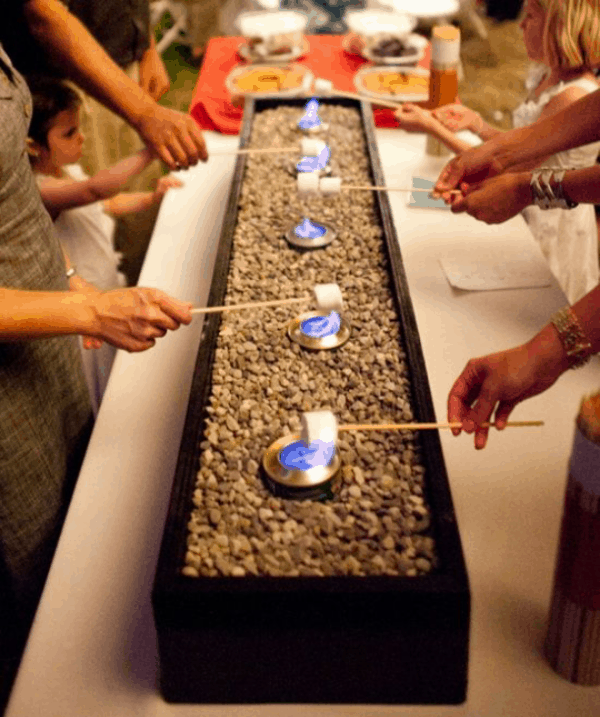 The marshmallow toasting station is awesome! Adorable ideas! I love all the free printables too! It really makes me want to have a party too! This would be great for any winter time weekend not just the holidays. Thanks for linking up at WW! 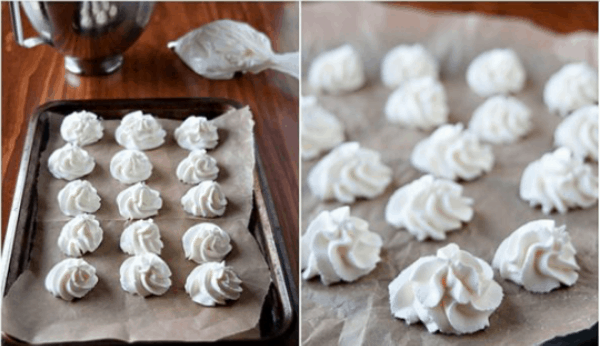 OMG, I love every detail from the frozen whipped cream you can do ahead of time, to the burners for the marshmallows, the free printables! You thought of everything! Best part, it's easy! 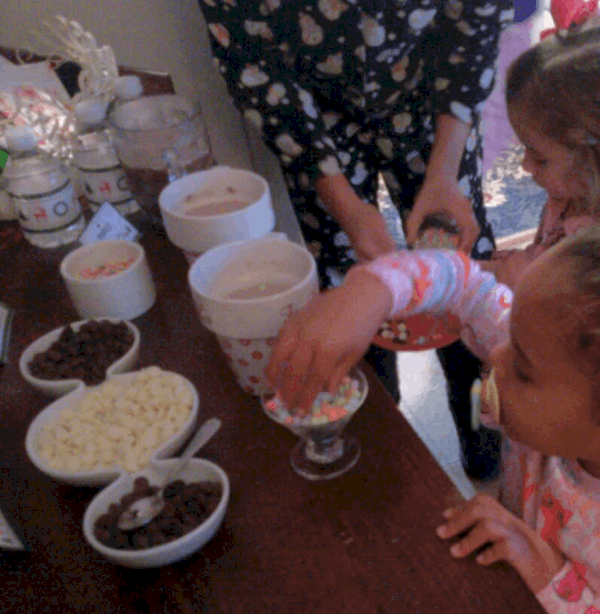 I just pinned a few images to use for future parties that I plan!Thanks for linking up on Oh My Heartsie Girl, and hope you come back next week! Such a great idea!!! 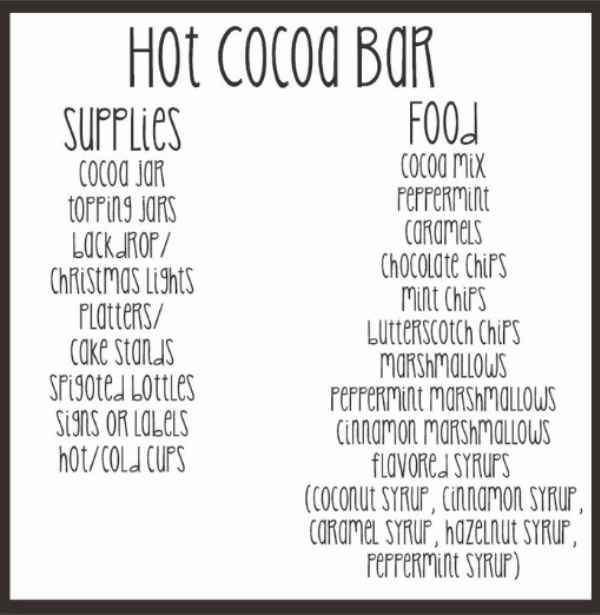 Plan on having a chocolate and s'mores bar for my teenager's next sleepover. Sounds so fun! Thanks for linking to Retro Re-pin party! This party you link your pinterest pin vs. your blog link pin. Hope you return next week with a pinterest pin!